What does it mean when you dream about a quarrel? A quarrel in a dream often suggests an inner conflict over ideas and values. Alternatively, one may feel burdened by a person in authority. 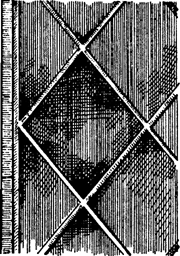 A small pane of glass, usually diamond-shaped or square-shaped and set diagonally; framed and held in place by slender, grooved strips of lead (cames). If you are quarreling or arguing in your dream you may be experiencing some inner conflict. The quarrel may reflect your own inability to resolve important issues, ideas, or values. Most likely, you may be experiencing ongoing difficulty with making decisions, cannot accept authority, or you may have carried an argument from your daily life into your dream. Very old dream interpretation books say that quarreling is a dream of the contrary and that you will have peace and harmony with your loved ones. After quarreling with her husband she went to her parents home. Specifically, Romanians reported quarreling with their romantic partners more than they debated/discussed issues with them, z = 3. We hope they will understand they are there to help the country to help them and they should stop quarreling.